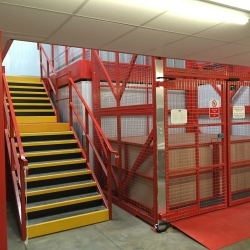 If you are looking for self storage Turnford, Security Self Storage can offer you a short or long term storage solution. Storage units range from 16 sq. ft. to 250 sq. ft. Only the customer holds the key to the unit, which can be accessed as often as you like. The storage is flexible and if your needs change, you can easily change units. At various times in your life you may find that you need to call in additional storage provision. This could be when you are decorating or renovating your home. Maybe you are downsizing your accommodation but wish to keep certain items of furniture in the short term? You may be relocating to another country but will be returning home at the end of a work contract, and need to store your personal possessions. It makes perfect sense at these times to look at Security Self Storage as an affordable and secure way of storing your personal belongings. Planning your move as early as possible is definitely beneficial, as there are a host of things that need to happen to ensure your move takes place on the day or days you require. 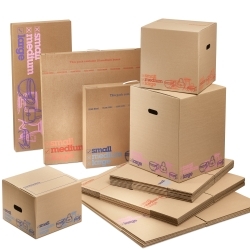 One of your first tasks should be to arrange a written quote from an established removal firm and if you require personal or business self storage now is the time to arrange this. Security Self Storage will be delighted to show you around the secure storage site and to answer any questions you might have. Security Self Storage is owned by White and Company. White and Company have been providing a removals service for over 140 years and are founder members of the British Association of Removers, FIDI & OMNI. White & Company also provide specialist removal services to locations around the UK, Jersey and Guernsey. We work tirelessly to provide the best possible service and peace of mind for those looking to move home. How Much Does Self Storage Turnford Cost? Security Self Storage Turnford offer modern secure rooms close to M25 J25 and the A10 with competitive rates. Getting a quote is easy and will only take a few minutes, you can even use the size estimator below to work out how much space you may need. For more details and a free quote call 01992 877540 and speak to a member of our team. If this is the first time you have considered using Security Self Storage, you are invited to view our rooms and ask any questions you have. 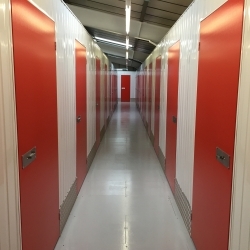 Security Self Storage Turnford have various room sizes to choose from. Below you will find some helpful information about each room size and what you could fit in it. Below we have listed information about the Turnford area which you may find useful. The housing market in Turnford is very active with a wide range of properties available for rent and sale. You can expect to pay an average of £466,188 for a property in this area. The map below shows where Security Self Storage is located.